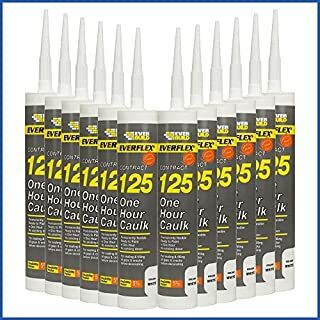 12 tubes per box. Size 400ml. Colour white. 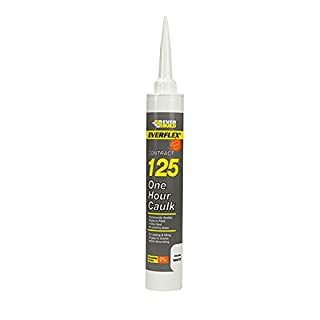 125 One Hour Caulk is a fast drying flexible decorators filler and sealant that remains permanently flexible. Can be overpainted with most paint types or covered over with wallpaper; no sanding down required. 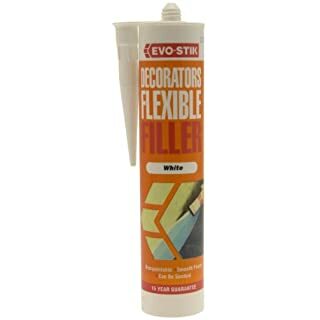 Achieves a white crack-free fill between two surfaces where movement can occur. Controlled application is ideal for long linear gaps. 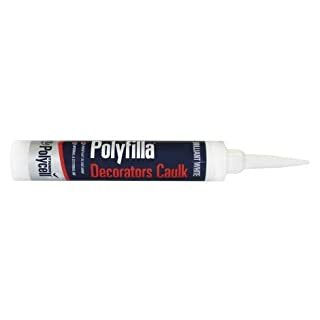 Polycell Polyfilla Decorators Caulk is a flexible permanent acrylic sealant specially formulated for internal and external use in areas subject to movement. 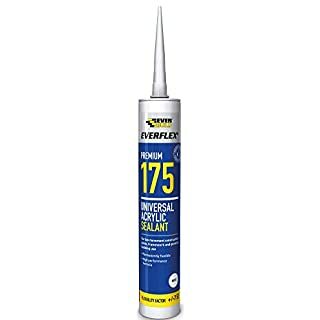 It is suitable for sealing around architraves and cornices, sealing cracks between skirting boards and walls, pointing around window and doorframes and filling cracked plaster. It gives a smooth finish that does not require sanding. 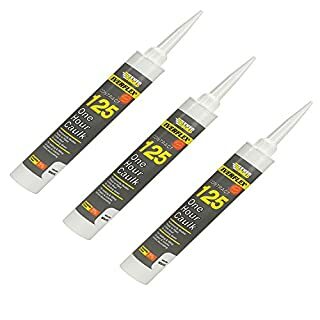 MoonCity Caulk Strip is the first high quality, press-in-place caulk strip that allows anyone to complete caulking projects around the home like an expert without any mess and hassle of traditional caulk. It is a high quality PE extrusion with a high performance adhesive that adheres to most surfaces. 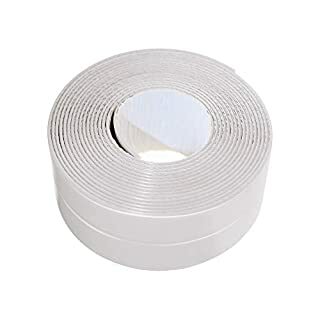 Unlike other PVC caulk strip products on the market, PE caulk strip sticks much stronger, more heat-resistant, and waterproof. 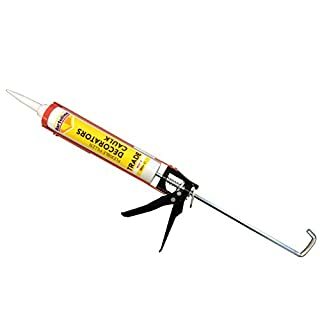 It acts like a professionally installed traditional caulk bead and adds a barrier to water infiltration. It won't grow mold or mildew and leaves you with a clean, professional finish in just minutes. Notice:1. 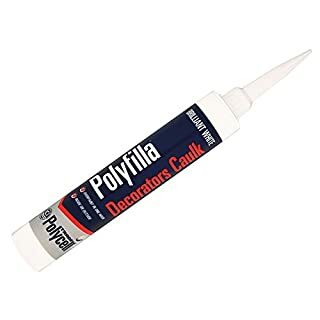 Please completely clean the surface and make sure it is dry, remove any existing silicone caulking prior to installation. 2. Please heat the gum by hair dryer for better stickiness before usage. 3. It can be applied to any flat and smooth surface like tile, marble, glass, painted wood, etc. 4. It is suggested to install the strip above 25 Celsius degrees. It will not stick quite good If it' s too cold. 5. Firmly press the strip after installation, and wait about 8-10 hours to use. 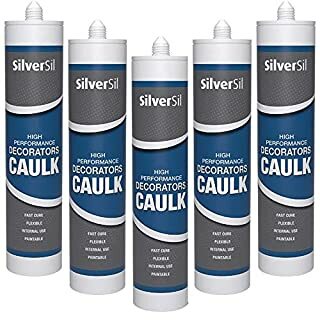 DESCRIPTION:..A rapid drying, interior decorators caulk. ..Remains permanently flexible and can be smoothed and over-painted within 1-2 hours of application. ..Has good adhesion to most building materials. 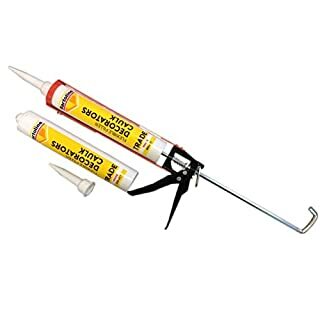 ..APPLICATION:..Suitable for sealing and filling cracks in most "alike" materials, such as skirting boards, plastics and polystyrene coving. 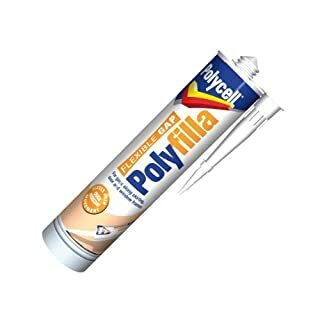 ..Note: Not recommended for external use, for uPVC or in wet areas. 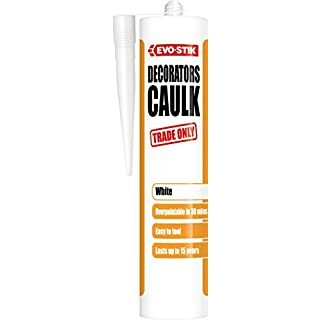 1 x 380ml White Trade Decorators Caulk/Flexible Filler. 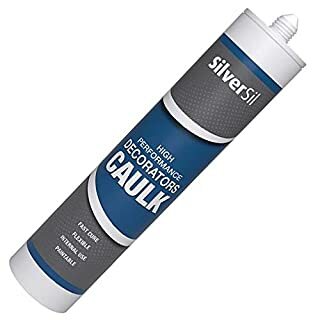 And 1 Caulking Skeleton GUN Bartoline Flexible Filler/Decorators Caulk is a Flexible acrylic filler and sealant that is easy to apply, dries quickly, and can normally be overpainted with emulsion paint after 1-2 hours. Conforms to the Harmonizing European standard EN15651 for façade interior applications. 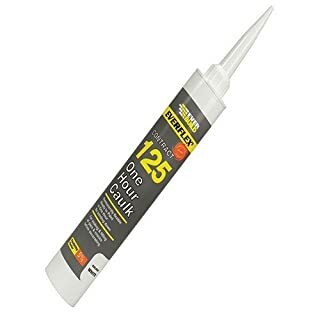 Bartoline Flexible Filler/Decorators Caulk has been specially developed for sealing interior gaps or cracks where movement can occur such as between plaster work, window frames, door frames, skirting boards, architraves etc. Use prior to painting or papering to prevent unsightly cracks developing at a later stage. Surfaces Must be sound, clean and dust free. Cut the tip of the cartridge, taking care not to damage the thread. Apply nozzle and cut cleanly at an anle of 45 degrees with an opening slightly larger then the gap to be sealed. Apply using a cartridge gun. Best results will be obtained by keeping even pressure on the gun trigger and keeping the gun at a constant angle to the surface being sealed. smooth down within 20 minutes of application using a wetted spatula. Care should be taken at this point not to saturate the surface as this will delay drying. Any excess filler can be removed using a damp cloth. Clean tools with water. Store unused filler in a cool, frost free place. Keep out of reach of Children. If in eyes or on skin rinse/wash with water. 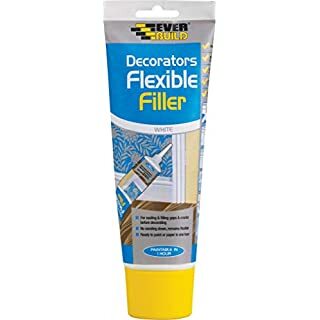 Flexible with no cracking or crumbling. Fills cracks and cavities. Can be painted. Easy to use. Interior or exterior use. 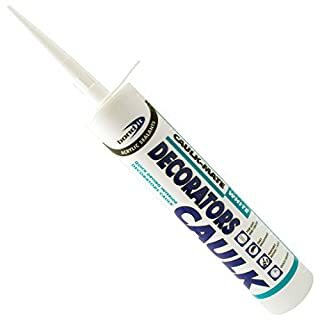 2 x 380ml White Trade Decorators Caulk/Flexible Filler. 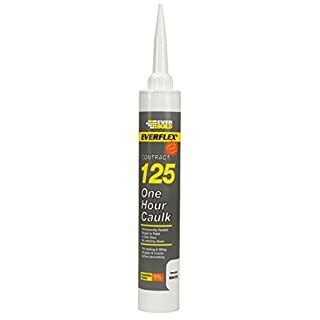 And 1 Caulking Skeleton GUN Bartoline Flexible Filler/Decorators Caulk is a Flexible acrylic filler and sealant that is easy to apply, dries quickly, and can normally be overpainted with emulsion paint after 1-2 hours. Conforms to the Harmonizing European standard EN15651 for façade interior applications. 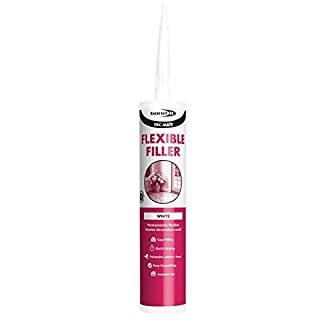 Bartoline Flexible Filler/Decorators Caulk has been specially developed for sealing interior gaps or cracks where movement can occur such as between plaster work, window frames, door frames, skirting boards, architraves etc. Use prior to painting or papering to prevent unsightly cracks developing at a later stage. Surfaces Must be sound, clean and dust free. Cut the tip of the cartridge, taking care not to damage the thread. Apply nozzle and cut cleanly at an anle of 45 degrees with an opening slightly larger then the gap to be sealed. Apply using a cartridge gun. Best results will be obtained by keeping even pressure on the gun trigger and keeping the gun at a constant angle to the surface being sealed. smooth down within 20 minutes of application using a wetted spatula. Care should be taken at this point not to saturate the surface as this will delay drying. Any excess filler can be removed using a damp cloth. Clean tools with water. Store unused filler in a cool, frost free place. Keep out of reach of Children. If in eyes or on skin rinse/wash with water. gives a smooth finish that does not require sanding. Smooth finish, no sanding required Over-paintable after an hour, depending on conditions.